Nearly one in three of the nation’s child suicides (5-17 years of age) are of Aboriginal and Torres Strait Islander children. The nation should weep, writes Gerry Georgatos. The Inuit peoples of Greenland, the Guarani peoples of South America, and the Aboriginal and Torres Strait Islanders peoples of the Australian continent endure the world’s highest suicide rates. However, when we disaggregate to regions, towns and communities, there is revealed staggering statistical tales of suicide as the "norm". We find that some communities are mired in a constancy of suicide and aberrant distresses little known to the majority of the nation. Greenland’s Inuit peoples have a suicide rate more than 90 suicides per 100,000 Inuit population, but with some regional communities at more than 10 times this, at a rate of 1,000 suicides per 100,000. However, when it comes to Australia, surprisingly, there are regions with a rate in excess of 6,000 suicides per 100,000 — more than 600 times the national average. The Guarani suicides are a recent phenomenon when compared with Inuit and Aboriginal and Torres Strait Islanders peoples. Brazil’s Guarani peoples have been dispossessed of their lands before our eyes in recent times, now with nearly 95 per cent of their lands taken by developers and the state to mount industries, agribusiness, sugar cane and soya plantations. The Guarani have been brutally pushed off their ancestral lands, often with gun barrels pointing down at them. Neglected into squalor, shanties are where the majority have been corralled within. In one hit, they are disconnected from both culture and hope. It was not till 1988 that Brazil recognised its First Peoples in the Constitution, but that has not come with land rights and redress. Racism is the same problem in Brazil as it is in Greenland and Australia. With the dispossession of the Guarani, so too came the suicides — at first, on average one suicide a week from a population of 48,000 Guarani. However, Australia is one of the world’s "first-world" nations and the world’s 12th biggest economy, but within this relative affluence the third-world-akin is reserved for many Aboriginal and Torres Strait Islander communities. In some regions and communities, Aboriginal and Torres Strait Islanders deal with the torment of suicide rates in excess of 100 per 100,000. These second and third-world-akin communities tell the grim realities of a story that remains hidden from the Australian nation. Despite the fact that the overall national suicide rate of Aboriginal and Torres Strait Islanders is double the suicide rate of the rest of the nation, it is for many regions and communities worse than should be imagined. Statistics and averages can mask grim realities. If we do not disaggregate, then we discriminate; we leave people behind. According to the Australian Bureau of Statistics, the Australian suicide rate has reached nearly 13 suicides per 100,000 population, while the Aboriginal and Torres Strait Islander national suicide rate is 26 per 100,000 Aboriginal and Torres Strait Islander population. As harrowing as it is to consider Aboriginal and Torres Strait Islanders are suiciding at twice the rate of the rest of the Australian population, the grim reality is abominable, of wildernesses of unnatural deaths, with an indenture of suffering and inconsolable grief. In 2014, I disaggregated the Kimberley suicide rates and found that the Aboriginal peoples of the Kimberley, tragically, have a suicide rate of over 70 per 100,000. If we disaggregate further to regions within the Kimberley, then we find abominable suicide rates of more than 6,000 per 100,000 Aboriginal and Torres Strait Islander population. Yet little has been galvanised by the W.A. State Government to transform second and third-world-akin communities within these regions to first-world. Governments continue to fail these communities and towns, fail to connect them with hope. In the last year, researchers at the Telethon Kids Institute, commissioned by the Aboriginal and Torres Strait Islanders Suicide Prevention Project (ATSISPEP), extracted regional postcode suicide data from the National Coronial Information Systems database. In reviewing this data, compiled from 2001 to 2012, there are 38 postcode regions with Aboriginal and Torres Strait Islander suicide rates of between 100 to 199 suicides per 100,000 population. There are 16 postcode regions with suicide rates for Aboriginal and Torres Strait Islanders of between 200 and 299 per 100,000. Six in the 300s, one in the 400s, two in the 500s, one in the 700s, one in the 800s, four between 1,000 and 1,999, and two in the 2,000s. There are two postcode regions with a rate of more than 6,000 suicides per 100,000 population. Check out ATSISPEP/Telethon Kids Institute's map of suicide rates per post code here. Governments could have focused attention on these regions – on the corridors of acute poverty – but instead, they have let them languish — threatening to close some of these communities is the only offering one state government has put on the table. In other words, more pain and suffering. In terms of the actual suicide toll, the number of people lost as opposed to the rate has also been tallied and, although some of the critical masses where there is a high suicide toll as opposed to a high rate (because of the size of populations), they are concentrated hotspots where tailored support and services need to be provided — people need people. Far North Queensland has an Aboriginal and Torres Strait Islander population of 14,500, but from 2001 to 2012 there were 70 confirmed suicides. In another Queensland region with an Aboriginal population of less than 4,900, there were 60 suicides. In a small Western Australian region with an Aboriginal population of 2,100, officially, there were 27 suicides. In my own datasets of suicides, I have tallied during the last several years of Aboriginal and Torres Strait Islanders, 93 per cent are of individuals who lived below the Henderson Poverty Line. Instead of rates of imprisonment of Aboriginal and Torres Strait Islanders compared to non-Indigenous Australians, I have inverted these to proportion to population numbers. 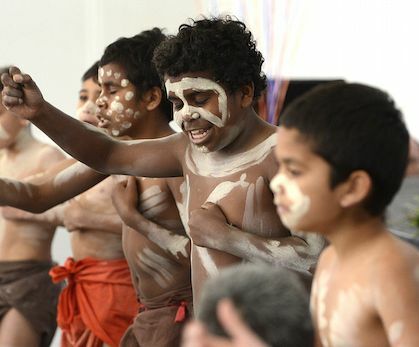 One in nine of Aboriginal and Torres Strait Islanders have at some point been gaoled. One in six of Western Australia’s and of the Northern Territory’s Aboriginal and Torres Strait Islanders has been incarcerated. Officially, one in 19 Aboriginal and Torres Strait Islander deaths is a suicide, however, because of under-reporting issues, it is much higher — more than likely one in ten. Aboriginal and Torres Strait Islander youth suicide is an indescribable tragedy. There is a disconnection with hope for many children from within the first decade of life. Nearly one in three of the nation’s child suicides (5-17 years of age) are of Aboriginal and Torres Strait Islander children. The nation should weep. Dishing out one stop workshops on "suicide prevention"; talking down to people about "getting tough" and becoming "resilient", but without hope on the horizon, without access to opportunities, without affirmative actions to support them to rise out of abject poverty, are just the most deplorable crap. The Australian nation continues to be soaked in blood. The ways forward are simple, but a lack of political will and the carpetbaggers are obstructing the bringing on of equality, the transforming of lives and of the saving of lives. Gerry Georgatos is a suicide prevention researcher at the Institute of Social Justice and Human Rights and a member of several national suicide prevention projects. You can also follow Gerry on Twitter @GerryGeorgatos. Independent Australia subscribers can listen to Gerry speak to managing editor David Donovan on one of IA's exclusive podcasts here. Be aware. Subscribe to IA for just $5.